SACRAMENTO, May 11, 2015—According to projections detailed in plans released today, Caltrans will need approximately $80 billion over the next ten years to address current and future needs of the state highway system—a projected funding shortfall of nearly $60 billion with available revenue. The 2015 Ten-Year State Highway Operation and Protection Program (SHOPP) Plan outlines a strategy for improving roads, addressing major rehabilitation work on the state highway system and supporting Caltrans’ sustainability goal through projects that bring long-lasting and smart mobility improvements. The plan identifies approximately $8 billion annually needed to fund these necessary improvements and preventative maintenance activities over the next ten years. However, in light of a shortfall of approximately $5.7 billion per year in funding, the plan warns that the state highway system will deteriorate and necessitate much more expensive remedies in the future. 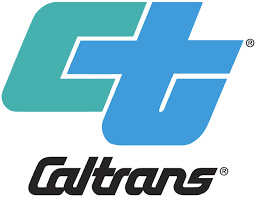 “This funding shortfall presents a serious challenge to Caltrans and this state’s transportation system,” said Caltrans Director Malcolm Dougherty. “At Caltrans, we have a “fix it first” mentality, putting transportation dollars where they can be most cost-effective: on preventative maintenance to our existing infrastructure. Our maintenance dollars can only go so far, however, and California is facing much more expensive repairs to its infrastructure in the future due to a growing backlog of necessary repairs. Excise taxes on gasoline and diesel fuel are the primary revenue source for Caltrans, funding the maintenance and operation of the state highway system as well as the administration of the department. These revenues are declining as a result of reduced fuel consumption due to more energy-efficient vehicles and increased alternative fuel use. California is currently evaluating funding alternatives which may include increasing the gas tax or registration fees, or switching to a mileage-based fee structure. The State Highway Operation and Protection Program primarily funds rehabilitation projects and capital improvements along the state highway system that do not add capacity to the system. Projects largely involve pavement and structure/bridge rehabilitation, but also encompass safety and some types of mobility improvements as well as emergency repair. The SHOPP is based on a ten-year plan (today’s released document) that identifies performance goal-based needs over a ten-year period, with the plan updated every two years. Caltrans’ Maintenance Program also preserves California’s transportation infrastructure through preventative maintenance and repair of the state highway system. Proper maintenance, as detailed in the 2015 Five-Year Maintenance Plan (also released today), can reduce the amount of the more expensive rehabilitation work done by the SHOPP. Caltrans constructs, operates and maintains more than 50,000 lane miles of the State Highway System, the core of California’s complex, multi-modal transportation system. This includes more than 13,000 bridges and structures, 30,000 acres of roadside landscaping, 205,000 culverts and drainage facilities and 87 roadside rest areas. The department’s transportation infrastructure also includes maintenance stations, equipment shops, traffic management centers, transportation materials laboratories and testing facilities and office buildings. Much of this system is over half a century old, built in the 1950s through early 1970s, to serve California’s growing population and expanding economy. The 2015 Ten-Year SHOPP Plan can be accessed at http://www.dot.ca.gov/docs/2015_Ten-Year_SHOPP.pdf and the 2015 Five-Year Maintenance Plan at http://www.dot.ca.gov/docs/2015_Five-Year_Maintenance_Plan.pdf.